1) What drives obesity? Visit Driving Obesity for the answer. 2) The 2018 Election is now in the books. Visit Election Analytics for a summary of what happened. 3) March Madness 2019... What are your bracket odds? Visit Bracketodds for help with your Men’s and Women’s brackets. Sheldon H. Jacobson is the Founder Professor in Computer Science, Director of the Simulation and Optimization Laboratory, and Founding Director of the Bed Time Research Institute at the University of Illinois at Urbana-Champaign. He holds appointments in Industrial and Enterprise Systems Engineering, Electrical and Computer Engineering, Mathematics, and the College of Medicine. He has a B.Sc. and M.Sc. in Mathematics from McGill University and a Ph.D. in Operations Research from Cornell University. He has served on the faculties at Case Western Reserve University (Weatherhead School of Management, 1988-1993), Virginia Tech (Industrial and Systems Engineering, 1993-1999), and the University of Illinois (1999-present). He has published 180 peer-reviewed articles, 11 book chapters, 48 conference proceedings, 29 professional and editorial publications, and delivered over 470 presentation, seminars and posters at conferences, universities, and research laboratories around the world. He has directed 23 Ph.D. dissertations and been awarded over $5M of research support from the National Science Foundation and the Air Force Office of Scientific Research. As Director of the Bed Time Research Institute, he spearheaded the creation of two research videos (“A Healthy Collaboration: Pediatric Immunization and Operations Research”, “Aviation Security: Researching the Risk.”) and launched three websites (bracketodds.cs.illinois.edu, electionanalytics.cs.illinois.edu, drivingobesity.cs.illinois.edu), all designed to communicate the value of basic research through Broader Impact activities, and promulgate STEM activities for enhancing and growing a technically literate citizenry. He has made several seminal research contributions, all focusing on applying operations research and advanced analytics to address societal problems of national interest. He launched the research field, aviation security analytics, demonstrating how probabilistic models, optimization, and artificial intelligence can be used to improve the performance of aviation security systems. His research on multi-level aviation security passenger screening at airports was the precursor to risk-based security, providing the foundational concepts that informed the design and implementation of TSA Precheck©. His contributions have been recognized with numerous awards, including a 2003 Guggenheim Fellowship and the 2018 INFORMS Impact Prize, given biennially to recognize widespread impact of operations research. His research on the design of pediatric vaccine formularies introduced the use of operations research in the pediatric immunization domain. His research on bridging obesity, transportation, and fuel consumption established the impact of transportation on obesity, providing the foundation for non-medical obesity interventions based on modes of transportation. His research has been widely reported and communicated in the national press, including the Washington Post, the Chicago Tribune, the Los Angeles Times, and the Boston Globe, editorialized in the New York Times, and discussed in Business Week, Forbes, Kiplinger, and The Osgood Files on CBS radio. He has appeared on The Street Signs (CNBC), The Closing Bell (CNBC), Weekends with Alex Witt (MSNBC), Washington Post Radio, CBS This Morning, CBC Canada News (television and radio), and BBC World News (television and radio). His views have been published as opinion-editorials and letters in the Washington Post, Quartz, CNN Opinion, Inside Higher Ed, the Wall Street Journal, and the Chicago Tribune. 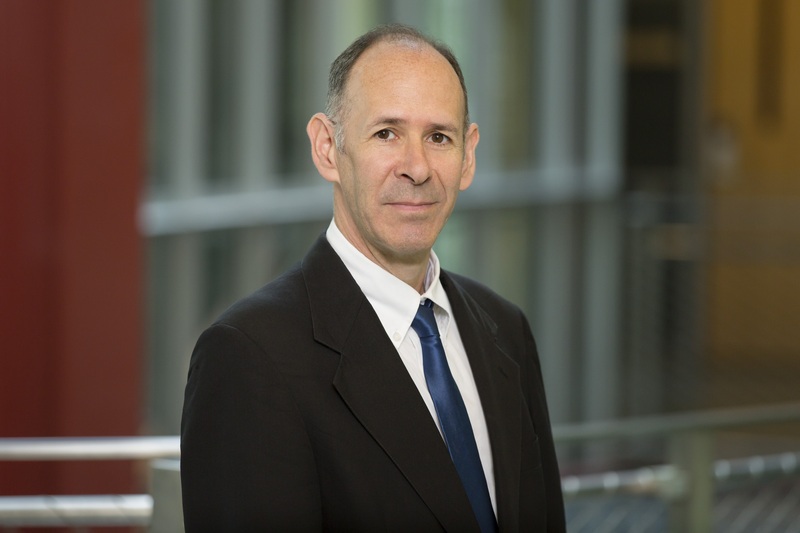 He has been recognized with numerous awards, including a Guggenheim Fellowship (2003), the INFORMS Impact Prize (2018), the IISE David F. Baker Distinguished Research Award (2017), IISE Award for Technical Innovation in Industrial Engineering (2010, 2013), the Aviation Security Research Award (Aviation Security International) (2002), the IIE Outstanding Publication Award (2009), the Award for Excellence in the Teaching of Operations Research (IISE Operations Research Division) (2011), and runner-up for the Christopher Columbus Homeland Security Award (Transportation and Border Security) (2010). He is an elected Fellow of the Institute for Operations Research and the Management Sciences (INFORMS) (2013) and the Institute of Industrial and Systems Engineers (IISE) (2011). He has also received several best paper and poster awards. His leadership and expertise have been used by both government and professional societies. He briefed personnel within the Office of Science and Technology Policy (in the executive Office of President George W. Bush) (August 2002, Washington, DC) on issues related to aviation security and assessing the cost and benefit of checked baggage screening strategies. He briefed the Advisory Committee on Immunization Practice (ACIP) on a web-site he co-developed for designing optimal pediatric vaccine formularies (October 2001, Atlanta, Georgia.) He served on committees for the National Academies, including the National Research Council Committee on Airport Passenger Screening: Backscatter X-Ray Machines (2013-2015), the National Academy of Medicine (NAM) Standing Committee for the Centers for Disease Control and Prevention Division of Strategic National Stockpile (2015-2017), and A Workshop on Medical-Product Shortages: Effects on Patient Health and Opportunities to Predict, Prevent, and Respond to Them (2018). He led the NSF-Funded workshop (May 2016, Arlington, VA), Setting a Broader Impacts Innovation Roadmap, in creating new pathways for enhancing Broader Impacts in the Engineering Directorate at the NSF. He served as the (elected) Treasurer for the Institute for Operations Research and the Management Sciences (INFORMS) (2015-2016) and as a Program Director in the Division of Civil, Mechanical, and Manufacturing Innovation at the National Science Foundation (2012-2014). Broader Impacts: How research supported by the National Science Foundation makes the world better for all. Read the Workshop Report: Setting a Broader Impacts Innovation Roadmap. (9 April 2019, Kery Merakami, Washington Post) “Should we embrace Metro’s broken escalators for keeping us in shape?” quotes Sheldon H. Jacobson’s research associating public transit usage with lower obesity rates. (8 April 2019, Trishala Bhagat, Daily Illini) “Illinois professor improves airport security systems” discusses Sheldon H. Jacobson’s contribution to aviation risk-based security. (3 April 2019, Michael Locklear, CBS 2 KUTV, Salt Lake City, UT) “Airport officials, TSA to talk prevention following security breach, attack” quote Sheldon H. Jacobson on security breach at Salt Lake City International airport. (26 March 2019, Kevin Stankiewicz, Columbus Dispatch) “The Columbus man behind the last remaining perfect NCAA bracket” quoted Sheldon H. Jacobson on the likelihood of the remaining games also being correct. (20 March 2019) "Illinois professor creates women’s NCAA Tournament simulator," (Doug Feinberg, Associated Press) features the Women’s Basketball tournament simulator launched at bracketodds by Sheldon H. Jacobson. The story appeared on-line and in print in numerous outlets, including Washington Post, Chicago Tribune, New York Times, San Francisco Chronicle, USAToday, Houston Chronicle, Minneapolis Star Tribune, Daily Herald (Chicago), News Day, Charlotte Observer, Seattle Times, Washington Times, Miami Herald, The Score, Orlando Sentinel, and others. See also “An Illinois Professor has developed the first ever NCAA women’s Tournament simulator” (21 March 2019, Vinciane Ngomso, Yahoo Sports) and “100 trips through a NCAA women’s bracket simulator” (22 March 2019, Alex Simon, High Post Hoops). (18 March 2019) “Can analytics help you win your NCAA tournament pool? Don't bet on it” (Michael Weinreb, Yardbarker) quotes Sheldon H. Jacobson on the challenges of picking good brackets. See also “Heart, loyalty and hunches: How people pick their NCAA brackets.” (Rich Trometta, Northeastern University). (8 March 2019) Resoundingly Human (podcast hosted by Ashley Kilgore, INFORMS) features Sheldon Jacobson discussing the analytics of March Madness. (29 January 2019) Lower obesity rates linked with public transportation use, study shows (University of Illinois College of Engineering). Also appeared in Medical Xpress, Scienmag, News Medical, Health Medicine Network, Courier Journal, Science Daily, The Asian Age, Business Standard, Deccan Chronicle, The News Wheel, NDTV, Family Health Tale, Med Public Health Management, Tree Hugger, AASHTO Journal, Friends of White Flint, Knowridge Science Report, The Hindu, Fit Society (The Netherlands), About Cancer Service, Pour Quoi Docteur (France), Aponet (Germany), GEO (Germany), Regenbogen (Germany), Today (Italy), Maximitalia (Italy), Beritagar (Indonesia). See also Could riding the subway help you lose weight? (29 January 2019, New York Post, Kirsten Fleming), Public transportation may help you lose weight but speed of loss is complicated (30 January 2019, Interesting Engineering, Loukia Papadopoulos), Public transportation could affect obesity rates (30 January 2019, Consumer Affairs, Kristen Dalli), Boarding commercial vehicles to work ‘may lower’ obesity rates (30 January 2019, The Cable, Stephen Charles Kenechukwu), Want to lose weight? Give public transportation a try (30 January 2019, Mobility Lab, Paul Mackie), Wanna shed those calories? Try this new unheard trick! (30 January 2019, Prokerala, Paul Mackie), The use of public transportation is now directly linked to low obesity rates (31 January 2019, Industry Journal, Aniket Tak), Anyone who travels by Bus or train, remains slim (1 February 2019, Family Health Tale). (27 January 2019) The High Cost of Self-Inflicted Disease (Health Reform Now) cites Sheldon H. Jacobson’s research on the impact of obesity on automobile fuel consummation. (25 September 2018) So Many Cars: Why American Life Expectancy Falls Short (Mises Wire, Ryan McMaken) cites Sheldon H. Jacobson’s research on the association between obesity and automobile use. (25 April 2018) Letter: Human error still a part of self-driving cars, which appeared in USAToday (page 5A), discusses how self-driving cars remain subject to human error, through compliance with the framework under which they must operate. (3 April 2018) Technology holds the key to redistricting reform (Houston Chronicle, Jay K. Aiyer (opinion)) draws on research by Sheldon H. Jacobson to argue that artificial intelligence and algorithms can help solve the problem of gerrymandering in drawing political boundaries. (12 March 2018) Science of Upsets: Prof has formula that doubles your shot (Associated Press, Eddie Pells) appeared in numerous media outlets, both on-line and in print, including the New York Times, Washington Post, ESPN, USAToday, FoxSports, and ABC News. See also That smarts: Buffalo makes the computer look brilliant (16 March 2017, Associated Press, Eddie Pells), NCAA tournament Winners and Loser: TruTV, Sister Jean, Thomas Jefferson and more (19 March 2018, Chicago Tribune, Teddy Greenstein, Phil Rosenthal and Tim Bannon), and Using machine learning in basketball brackets and beyond (Cisco News, Stephanie Chan). (5 March 2018) Who makes the NCAA tournament? Researchers at the University of Illinois can help, based on the paper “Modeling the NCAA basketball tournament selection process using a decision tree” published in the Journal of Sports Analytics (Volume 4, pages 65-71). See also Will your team make or miss the NCAA Tournament? New study may already have the answer (8 March 2018, Columbus Ledger-Enquirer, Columbus, GA, Jordan D. Hill). Looking for a Ph.D. Advisor? Interested in Jacobson’s “TED-type” Talk slides? Interested in supporting Jacobson’s research on policy, public health, societal issues, or bracketology? He would be happy to hear from you.